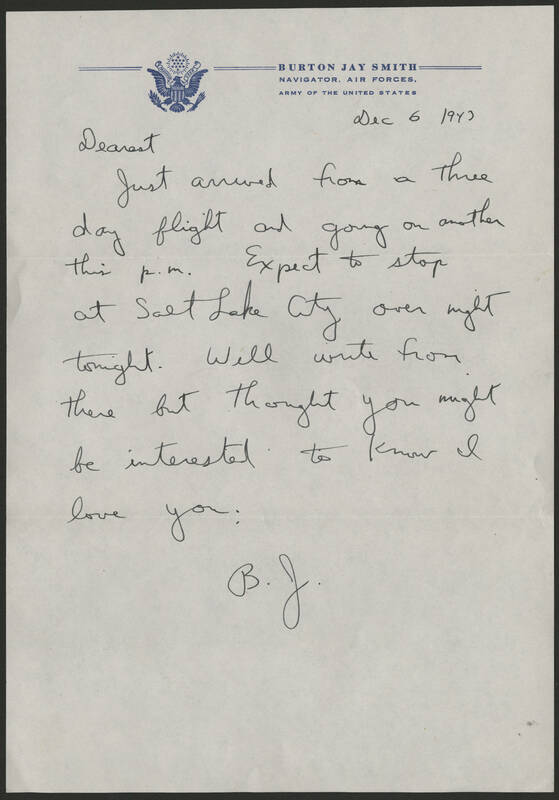 Dec 6 1943 Dearest Just arrived from a three day flight and going on another this p.m. Expect to stop as Salt Lake City over night tonight. Will write from there but thought you might be interested to know I love you. B.J.